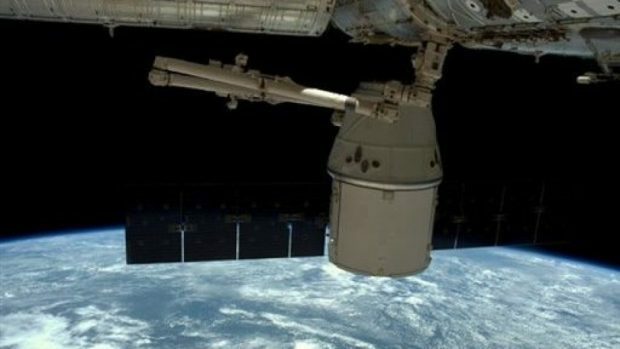 North firms are being urged to expand their horizons and make the most of ongoing efforts to build Scotland’s reputation for space technology research. Highlands and Islands Enterprise (HIE) has teamed up with the UK-wide Satellite Applications Catapult (SAC) and Strathclyde University to develop activities in the region. The two-year programme, which also involves the Strathclyde University-based Scottish Centre of Excellence in Satellite Applications (Scesa) , is aimed at helping businesses and researchers across the Highlands and islands capitalise on the market opportunities of advanced satellite technology. Industries such as healthcare and marine renewables are among those expected to benefit from increased use of data from space satellites. It is hoped the scheme will also support people working on transforming ideas into new commercial products and services for the growing space technology market itself. HIE business and sector development director Charlotte Wright said: “Exploring the opportunities presented by space satellite technology is the next natural step for many companies. “This could be to boost their existing trade through improved market reach or indeed by developing products and services for the growing space satellite industry itself. SAC was set up three years ago as a new type of independent innovation and technology company, created to foster growth across the UK economy through the exploration of space. It was established by Innovate UK, which works with individuals, companies and partner organisations to find and drive science and technology with the potential to grow Britain’s economy. Scesa director Malcolm Macdonald added: “We are delighted to be joined by HIE as partners in the centre. “Satellites play an essential role in a broad range of environmental, security and communications fields, as well as contributing to our wider understanding of space and delivering considerable economic benefits.